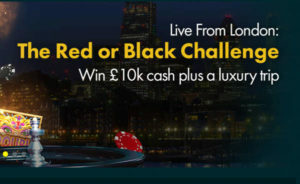 A nice promotion here from Grosvenor Live Casino. There is a weekly prize draw between the 30th July 2018 to the 26th August 2018. 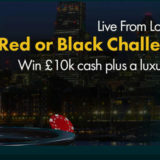 Depositing and staking £20 on Live Casino for two entries. Depositing and staking £20 on table and card or slots games for one entry. Betting £20 on Sport for one entry. 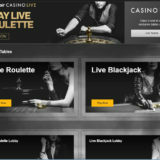 Getting another entry for every £20 you deposit and stake (2 entries on Live Casino). In each weekly prize draw 270 players will win a cash ( 1 x £1000) or bonus (£5 – £500) prize. 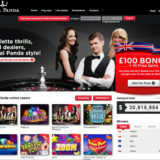 All participants will also get a share of 20,000 free spins. Also, each week, one player will qualify for the £10k Red or Black Challenge that will be held at the Grosvenor Victoria Casino on the 28th/29th September 2018. This prize includes 4-star accommodation in London, £500 spending money and the chance to win £10,000. At the end of the promotion period the 4 weekly winners will take part in the £10 Red or Black Challenge with one player getting the chance to win £10,000. 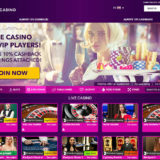 All bonuses within the promotion come with a 10 x wagering requirement and have to be used within 7 days. The free spins expire after 7 days. Only available to players from England, Scotland & Wales. Opt in to the promotion is required. 18+, www.begambleaware.org. Terms and Conditions Apply.